As part of our Certificate in Canine Myofunctional Therapy, our students are required to undertake a 4 day practical component. During these four days we offer free dog massage. We need plenty of dogs! So why not give your dog the gift of a massage to say thank you for being your fury friend! The next dates and times for the massage are Thursday 1st September – Sunday 4th September. At time of publication, there are still slots available Thursday morning, Saturday morning and Sunday morning. The sessions will be held at the Uniting Church on the corner of Gamon and MacKay Streets in Seddon, VIC. 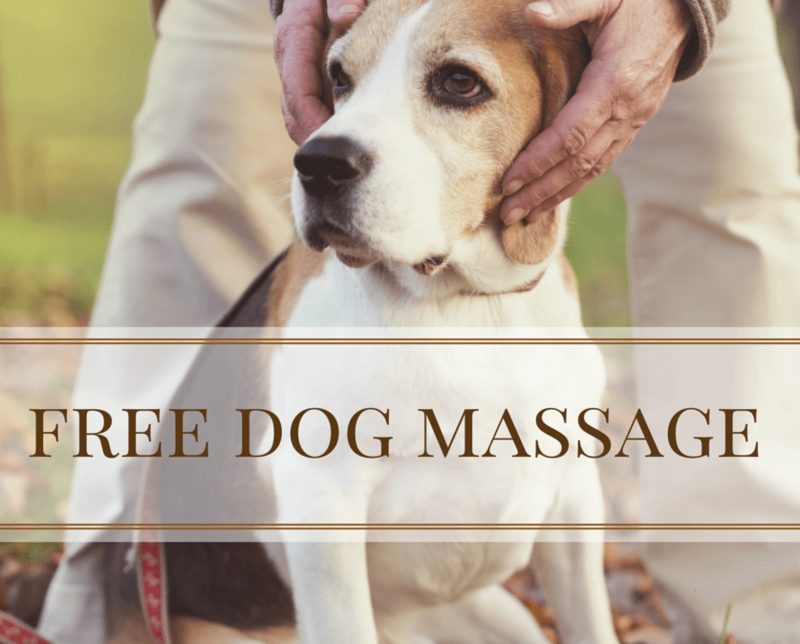 You must book for your free dog massage, so please email ashlie@nctm.com.au and specify your preferred times. You are welcome to book more than once! We would love to see some greyhounds that have been re-homed through the wonderful service of the Victorian Greyhound Adoption Program. We have massaged many of these dogs in the past and would love for more to come a receive free massage. If you are interested in finding out more about our Certificate in Canine Myofunctional Therapy (CMT) you can read about our course here and feel free to be in touch for a free course guide. Many of our CMT graduates go on to do the Diploma of Canine Rehabilitation and Wellbeing Recovery. Thousands of pampered pooches have walked away satisfied with their free dog massage. It couldn’t be easier to give your pooch some love by professionals undergoing training. Remember you must book for your free dog massage, so please email ashlie@nctm.com.au and specify your preferred times. You are welcome to book more than once!